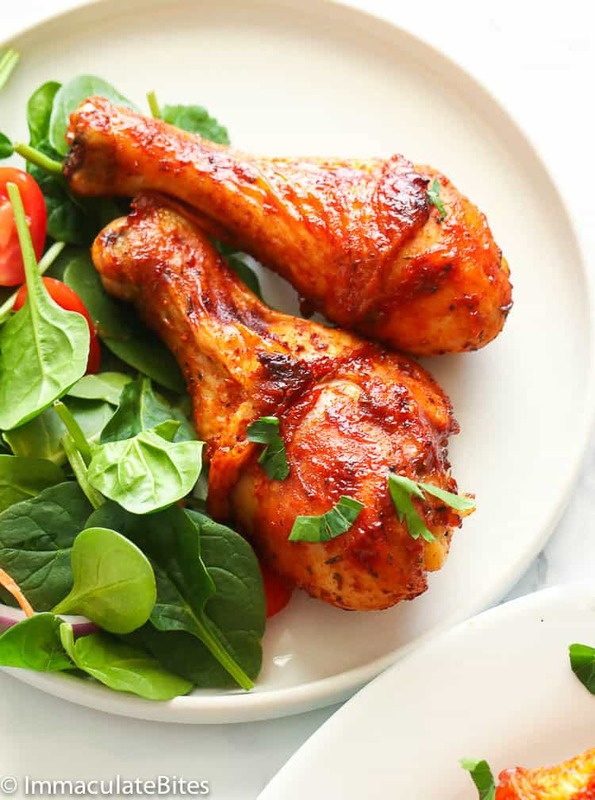 Oven Baked BBQ Chicken – juicy slightly-charred chicken legs packed with all the flavors of a grilled chicken except that they’re BAKED. 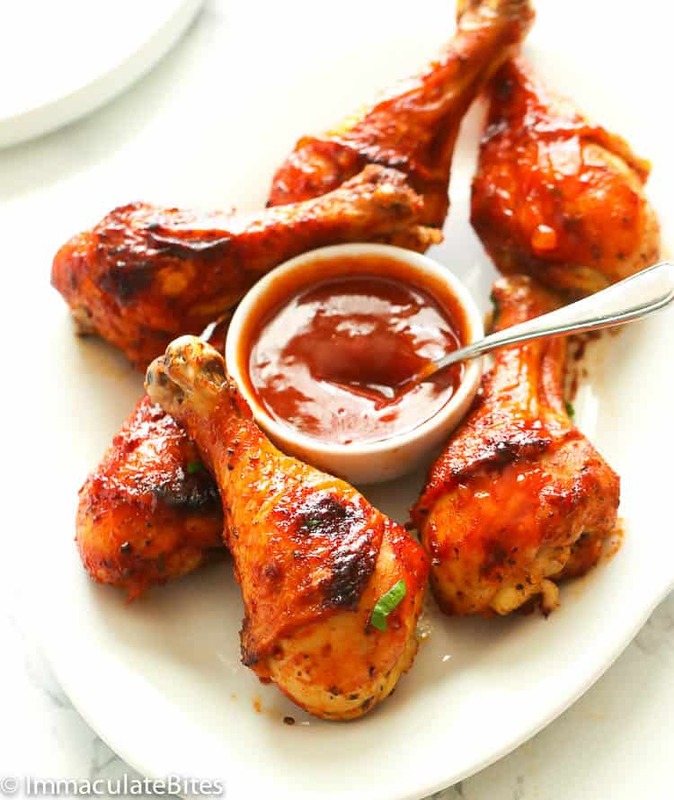 Easy, flavorful and hassle-free BBQ chicken! You’ll need plenty of napkins for this. This is the time of the year that I would daydream being outside and just having a good bbq and an ice cold drink with my family. But then again, there’s just no way that summer would come before spring. Well, who says you have to wait for summer to enjoy barbecues? Impossible is nothing for this gal here who never gave up on food. 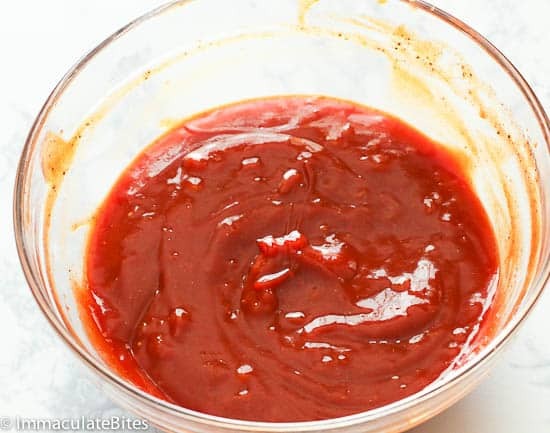 And so I head over to my kitchen and whip up my very own BBQ sauce. A couple of adjustments here and there and taste test and VOILA! 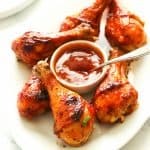 Get ready to drool over this tasty Oven Baked BBQ Chicken slathered in an easy and drop-dead delicious Homemade BBQ Sauce. This is going to be the best 4-ingredient dish you’ll ever make! How Long Do You Bake BBQ Chicken? As much as I love BBQ chicken from the grill like anyone, but it’s kinda hassle flipping and basting the chicken every now and then to ensure its cooked through evenly. Fortunately, our oven can do the job for us with almost the same result. It’s almost like a hands-free cooking; leaving us more time to work on the side dish and even dessert. 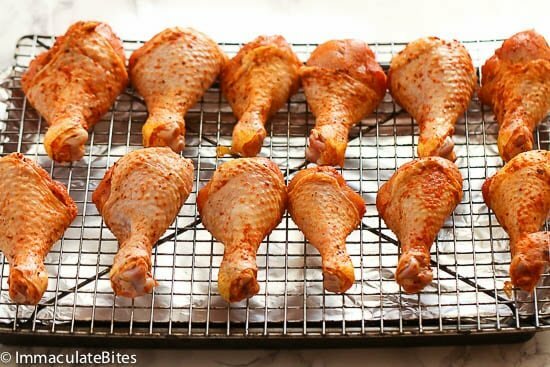 Baking a BBQ chicken in the oven at 400 F (204 C) would take around 40 minutes to an hour (on both sides) or until juices run clear; depending on the size of the chicken cuts and your oven’s heating capacity. Can I make this recipe on the grill? How Long Does It Take To BBQ Chicken On The Grill? Yes, you certainly can use this recipe and grill the chicken outside. 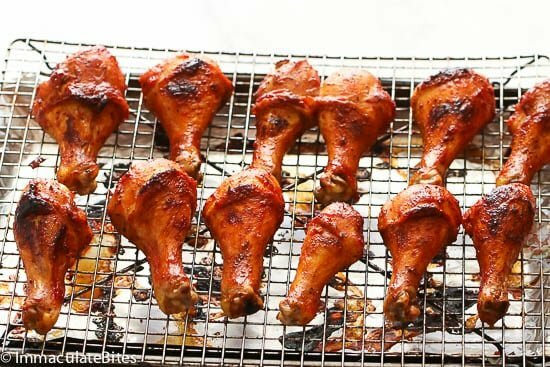 For bone-in chicken breasts, thighs and drumsticks, you can bbq the chicken over indirect heat (heated by the flame, but NOT DIRECTLY in contact with it; SEE indirect vs. direct heat) while being covered and turned occasionally, around 40-50 minutes. Make sure that the chicken’s internal temperature reaches 160°- 165°F using an instant-read thermometer before removing from the grill. What Can I substitute for Creole Seasoning? When I say that this chicken is finger-licking good, it’s truly flavorful even if you miss to slather it with the BBQ sauce. Oh yes! I made sure to season the chicken not just with salt, but with my flavor-packed Creole seasoning to also render a touch of heat in every bite. 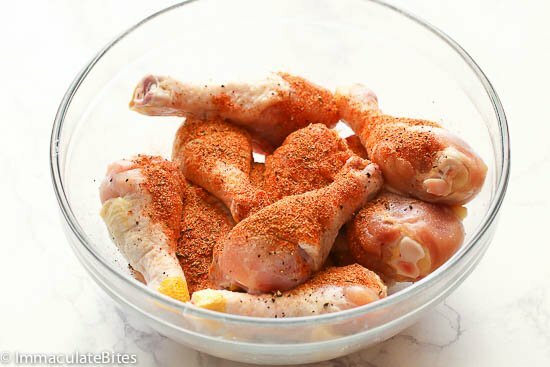 But if you don’t have a Creole seasoning handy, you may season the chicken with salt and garlic powder or simply with salt and pepper (and a sprinkle of paprika, perhaps). Go with whatever is right in your cupboard or take the extra time to make my Creole seasoning which can turn bland dishes to lip-smacking good. Use it on fish, steak, soups or stews and even on vegetables. You’ll be glad you did! If you’re short in time, you can use your favorite store-bought BBQ sauce. I love using Dr. Pepper BBQ Sauce, though, whenever I ran out of my homemade BBQ sauce. Now you can enjoy an Oven Baked BBQ Chicken whenever you want to. BBQ Chicken doesn’t have to be exclusively just for summer. 😉 Serve it with your favorite green salad, fried corn and with that homemade BBQ sauce on the side. Spoon it over on top of the bbq chicken as much as you want. 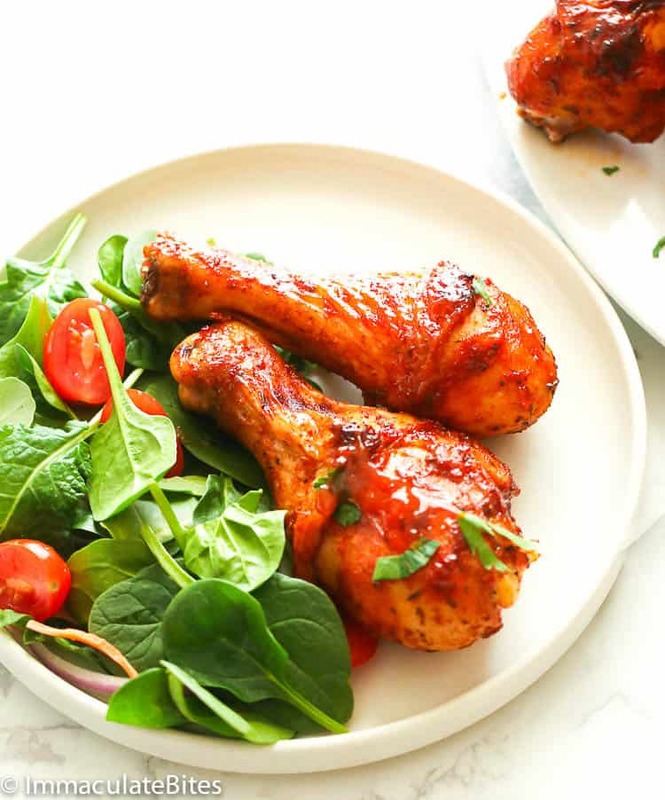 Oven Baked BBQ Chicken -juicy slightly-charred chicken legs packed with all the flavors of a grilled chicken except that they're BAKED. 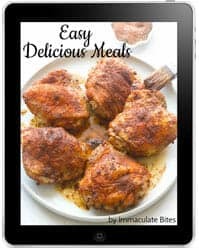 Easy, flavorful and hassle-free BBQ chicken! You'll need plenty of napkins for this. Preheat oven at 400F, prepare baking sheet by lining with foil and top with a wire rack. Wash chicken legs and thoroughly pat dry with a paper towel. Place the chicken in a large bowl, and season with salt and Creole seasoning, toss properly to make sure it is well-seasoned. 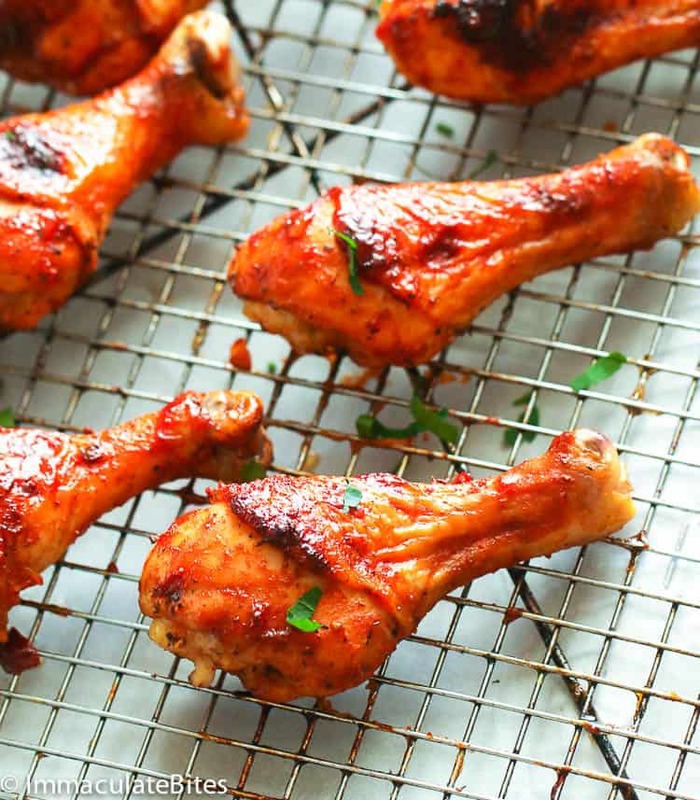 Arrange chicken legs out in a single layer on the wire rack. While the chicken legs are baking oil will slowly drip to the bottom of the baking sheet. 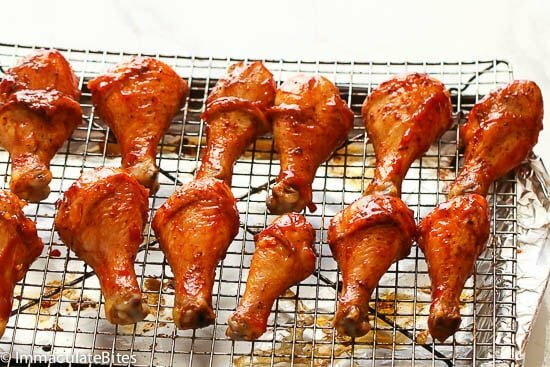 Bake chicken legs for 20 minutes before adding the barbecue sauce (until skin starts to crisp and fat render). Using a silicon brush, generously brush chicken with barbecue sauce on both sides. Continue baking chicken until crisps evenly on all side and lightly charred, for 20 minutes. Garnish chicken with parsley and serve immediately. Preheat oven at 400F, prepare baking sheet by lining with foil and top with a wire rack. Wash chicken legs and thoroughly pat dry with a paper towel. 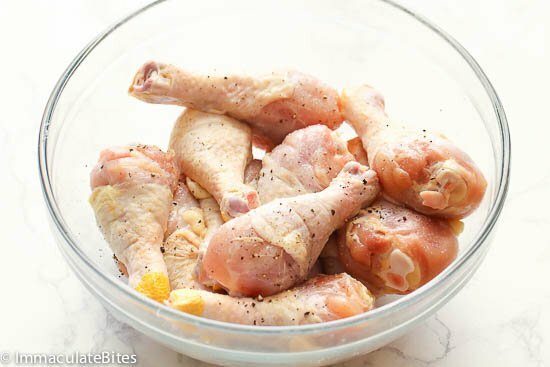 Arrange chicken legs out in a single layer on the wire rack. 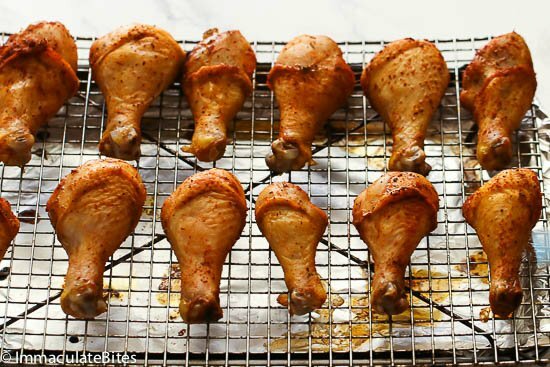 While the chicken legs are baking oil will slowly drip to the bottom of the baking sheet. It’s that easy, you can’t go wrong with it. Happy cooking !! !